And speaking of the holidays, let me take this opportunity to wish you all a Merry Christmas, Happy Hanukkah, Happy Festivus, Saturnalia, or whatever holiday you may celebrate. Whatever it may be, I hope it is (or was) a good one for you. The writing is slow but steady, with Year 12 sitting a bit over 85k words, and the end in sight. I’m not getting too excited about it yet, though. This one is going to have a lot of second and third draft work to do. The plot kept changing on me as I wrote it, and there will be a LOT of cleanup after the first draft is finished. I’d hoped to have first draft done by year’s end, but it looks like it’s still a few weeks away. Then a few weeks of reworks, off to beta readers, more reworks, then off to editing. At this point, I’m probably looking at March before it goes to editing, and then it’s up to their schedule as to how quickly it gets published. Then it’s on to one of the other three novels or two novellas that I’m working on. I’m hoping 2016 is much more productive that 2015 has been, but at this point I’m afraid to make any predictions. Instead, I just need to keep my head down and plug away. I have changed a few of my work habits, though. 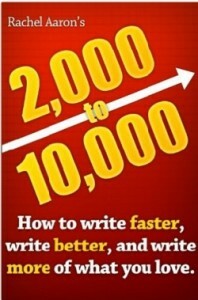 I bought Rachel Aaron’s “2,000 to 10,000: Writing Faster, Writing Better, and Writing More of What You Love” quite some time ago, but never read it until just last week. To be perfectly honest, I still haven’t finished it, but so much of what she said in that book rang true to me that I just had to begin putting some of it into practice. She spoke of the guilt you feel when you don’t get your targeted word count, and how that often leads you into a spiral of self-doubt and further reduced word count. Then she offers some solutions based on studies she conducted on her own habits and productivity. Much of what she proposes makes a lot of sense to me, so I’ve made a few changes. First, I’ve put together some binders; one for Year 12, one for Chucklers, and one for Payne and Suffering. These are my three main projects. (I don’t think I need to bother with the two novellas I also have in the works… at least, not yet). Then, before I begin writing for the day, I break out the binder for the project and sit for a while writing notes on what I plan to write about. I spend ten minutes or so writing quick notes about what I expect to happen in the scenes I’ll be working on before I ever actually begin “writing”. Now, when I start writing, instead of sitting in front of a blank page and letting the scene(s) open before me as I go, I have a more focused idea of what needs to happen. I’ve only been doing this for a couple of days, so I can’t honestly say that I’ve had a dramatic increase in my productivity. But I can say that I’ve got more peace of mind about what I’m writing, and I can see some threads that I’ve left hanging (because I don’t really know what to do with them), and I’m now better able to see how they might be woven back into the main story. Is this me moving from pantser to plotter? I don’t honestly know. But if it works… if it gets me the increased productivity that I really need if I’m going to make a decent living out of the writing, then I’ll gladly take on the mantle of plotter. And speaking of writing, it’s time I get back to it. So goodbye for now, and stay safe.